Yazd inscribed as UNESCO heritage site - IRAN This Way: Become familiar with Iranian lifestyle! United Nations Educational, Scientific and Cultural Organization (UNESCO) has added the historical texture of Yazd in central Iran to its list of world heritage sites. The site was inscribed on the world heritage list during the 41st session of UNSCO’s World Heritage Committee in Krakow, Poland, on Sunday, July 9, ifpnews.com wrote. The historical structure of Yazd is a collection of public-religious architecture with a very large scope comprising of Islamic architectural elements extending over different periods of history in harmonious combination with climatic conditions. Iran nominated Arasbaran Protected Zone in East Azarbaijan Province and the historical city of Yazd for 2017 UNESCO World Cultural Heritage listing. He pointed out, “Yazd is one of the most important desert cities of Iran. The city bears distinct signs of innovation and creativity, a majority of which were promoted between the 10th and 20th centuries CE. Yazd is Iran’s largest adobe city and its monuments boast high architectural values. “The cultural outlook of Yazd is yet to be modernized and as a result the majority of the monuments including mosques, minarets, houses and cisterns perfectly mirror ancient Islamic-Iranian architecture,” he said. The official said Yazd became a settlement with the establishment of cisterns. “One can see diverse eco-friendly architectural styles in Yazd, as if the ancient habitats were aware of the principles of sustainable development. Ancient residents of the city tried to apply wind, soil, and water energies in a way not to damage the environment,” he said. Yazd has been a manifestation of the brightest cultural heritage and ancient civilization throughout history with human settlement dating back to the third millennium BCE. Tribes, who migrated from Balkh to Pars, called this land ‘Yazdan’ during the Pishdadi era. 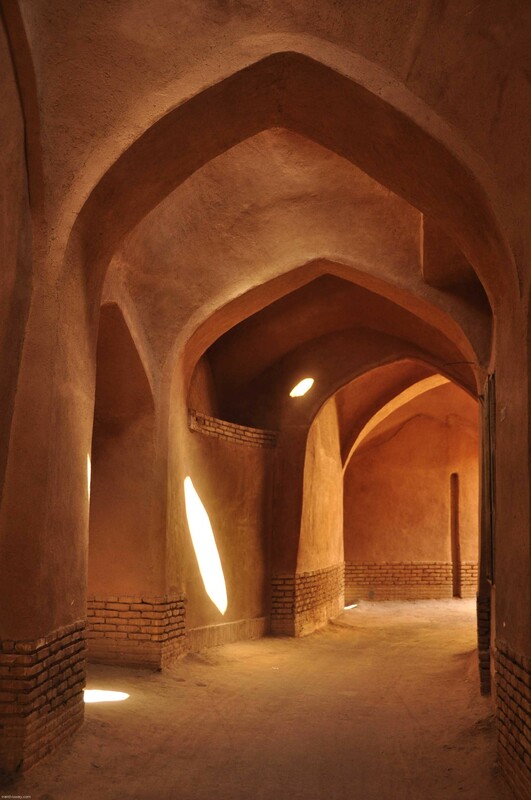 The most important early settlements in Yazd include Mehrpadin (Mehriz), Fahrashan or Pahreh (Fahraj), Khormish and Adar (Ardakan), Aqda and Eshkezar. Yazd is the first adobe city in the world and is the second historical city after Venice, Italy. Yazd is known as the city of wind towers. In fact, wind towers improve ventilation. They can be seen in residential units and ancient houses. Yazd’s historical monuments include Yazd Jame’ Mosque, Seyyed Rokneddin Mausoleum, Amir Chaqmaq Complex, Lariha House, Alexander Prison, Narin Castle, Chak Temple and Water Museum. In addition, 77 localities of Yazd known as ‘Yazd Historical Texture’ were registered as No. 15,000 on the National Heritage List in 2005. Gharbal Biz (Mehriz), Tamehr (near Taft) and Masih (Harat) are among the important springs of Yazd. The protected zones in Yazd are among the other attractions of the province. Taft is the hub of pomegranate and silkworm in Yazd Province. Its pomegranates are exported. Peaches are also a famous agro product in Taft. Also, Taft’s water has been well known throughout the history of the province. An alley in Yazd is known as ‘Ab-e Taft’, which indicates the vivacity of Taft. Due to certain climatic and economic conditions as well as its remoteness, the inhabitants of Yazd have been involved in making handicrafts. Yazd handicrafts have attracted the attention of artisans and art-lovers across the country since olden times.